Now that the holidays are done, CES 2015 is approaching, and all talks regarding upcoming smartphones revolve around new announcements at Mobile World Congress 2015—mobile users are setting their sights on what Samsung’s next flagship device will be in the New Year. 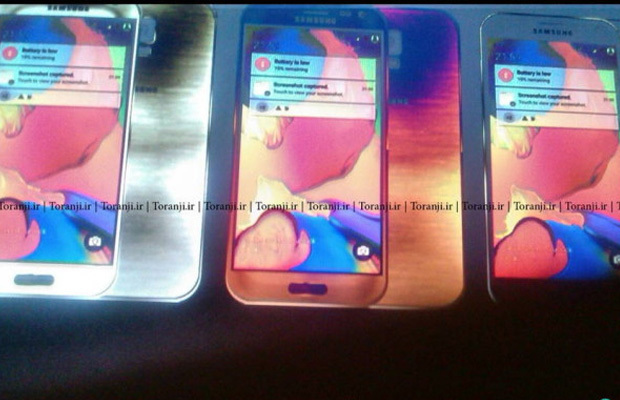 History tells us it will be a new Galaxy handset, which will most likely be dubbed the Galaxy S6. And though rumors continue to circulate online, Iranian blog Toranji has allegedly leaked images of what the next-gen smartphone will look like. Based on the photos, seems like someone played around with the coloring, making it less believable. That and the fact Tranjii carries a terrible track record when it comes to rumors. However, if true, then Samsung looks to keep its standard design intact, possibly reinforcing the plastic rear. Hopefully it won’t forget to integrate some aluminum this time around for the sake of presentation and protection. The Galaxy S6 is expected to be announced sometime in February with a proposed April launch in the works.